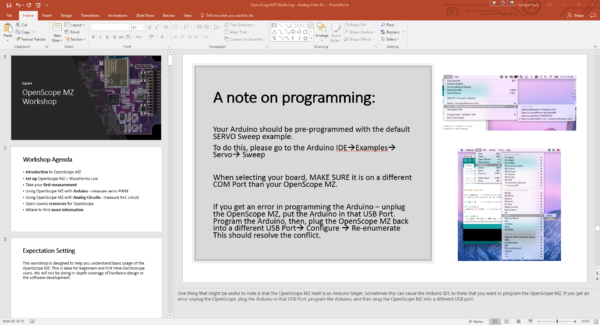 Yesterday we discussed the most complicated aspect of the OpenScope MZ, the engineering work that went into creating it. What wasn’t mentioned is that although the design is complicated, the interface and setup was created to be simple and intuitive to use. 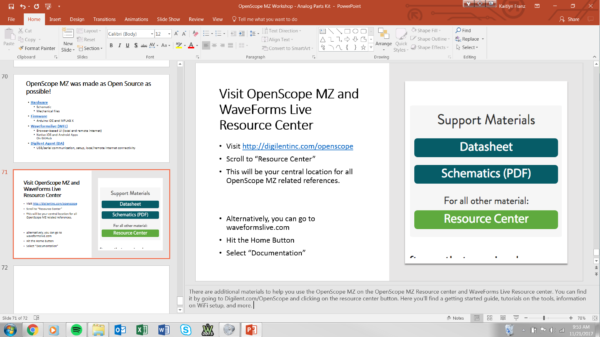 While setting up their OpenScope, users can quickly and easily go through the getting started guide to get them from opening the box, to taking their first measurement. 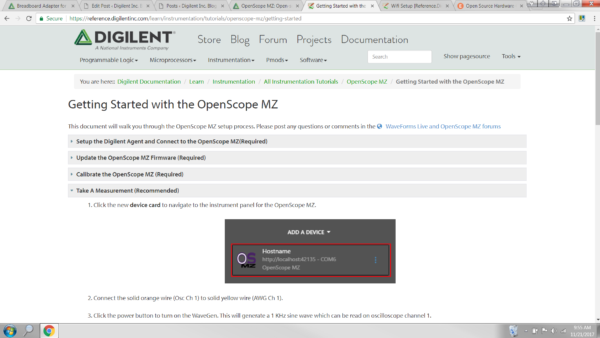 In September one of our engineers gave a workshop on setting up the OpenScope and using it in a couple of basic examples. I’m excited to announce that this workshop is now available to download on our Wiki for anyone who would like to give the workshop a try. 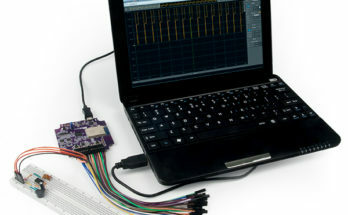 This would be great option for makerspaces that want to use the OpenScope as a portable, USB or WiFi connected Oscilloscope tool and give their members a workshop on an introduction to instrumentation and the use of the OpenScope. The workshop consists of over 70 slides complete with presenters notes. 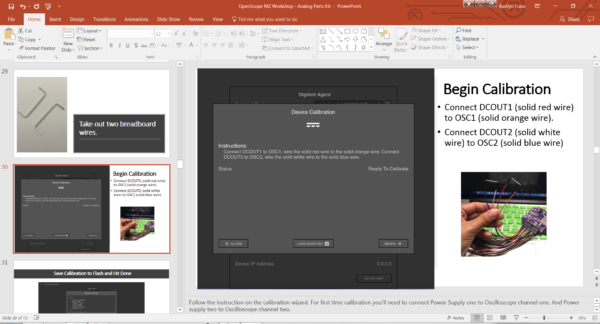 The presentation can be used as is reading directly off the presenters notes or adjusted and modified to your specific needs. 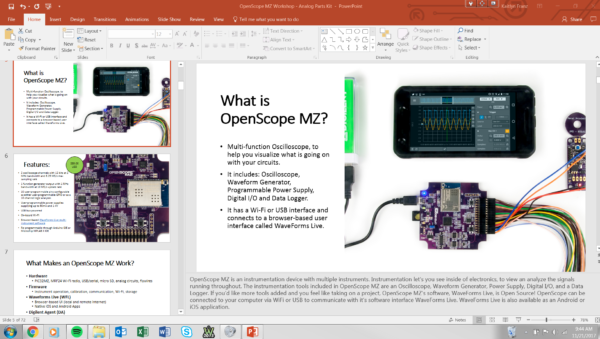 The first section covers what the workshop covers, what materials are required, and an introduction of the OpenScope MZ. 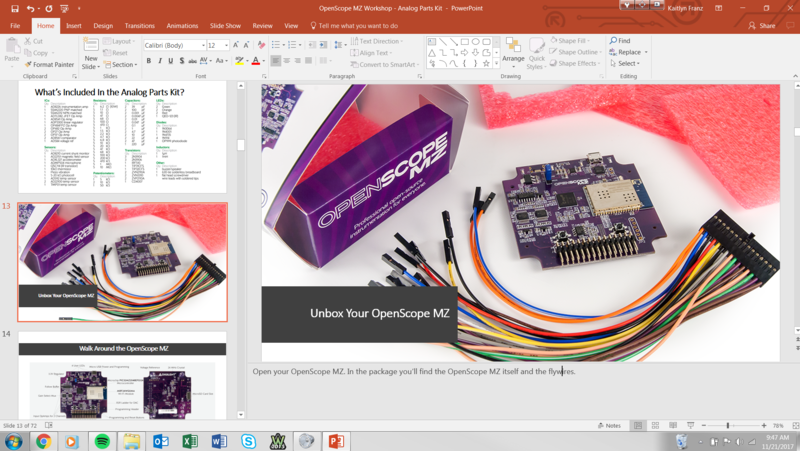 The next section covers a little more in detail the materials that will be used in the workshop and unboxing the OpenScope MZ. 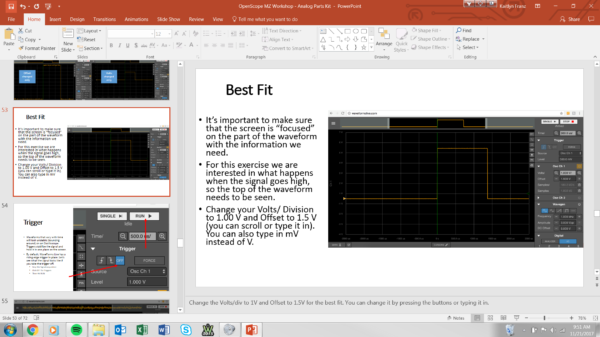 Next the workshop goes through downloading and installing the required software and connecting to WaveForms Live. It also goes through calibrating the OpenScope. Next workshop attendees with get to take their first measurement. 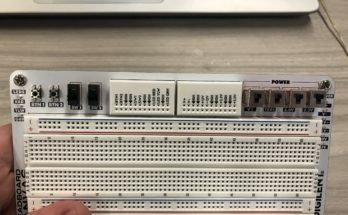 They’ll connect the Oscilloscope channel to the Waveform Generator channel and view the output of the Waveform Generator. It also goes through some important features of the UI WaveForms Live. 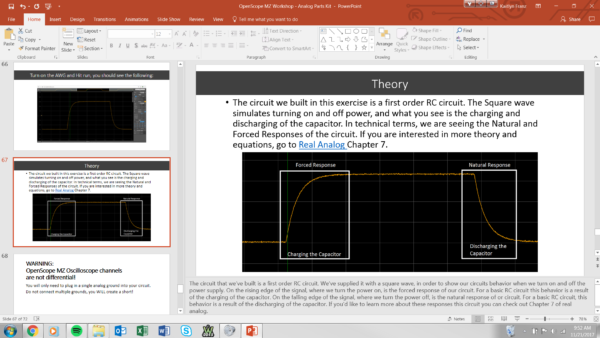 The next section gets into the first example, viewing a servo signal! Next they’ll go through a basic RC circuit and get to see the charging and discharging of a capacitor. 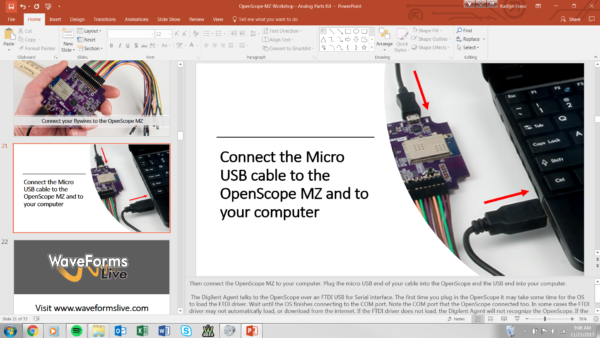 Throughout the workshop are some helpful tips for using the OpenScope MZ. Lastly the workshop ends with additional resources to learn more.